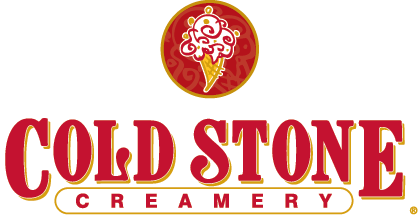 If it has anything to do with ice cream, it has everything to do with Cold Stone Creamery. From unique unique ice cream “Creations” to smoothies, cakes and shakes — nobody serves up the ultimate indulgence like Cold Stone. Start by choosing one of our ice cream, yogurt or sorbet flavors — made fresh in our stores every day. Then choose from a wide variety of fruits, candies or nuts to have mixed into your ice cream. We’ll use our signature process for preparing your custom creation on a frozen granite stone. Finish it off with a fresh baked waffle cone or bowl!